Yaqing Cai, Joanne K. Cheung, Yujie Hong, Xindi Cindy Hu, Namju Lee, Jiabao Li, Jenny Shen, Jiho Song, Kally Wu. BEACH was a temporary interactive installation that used virtual reality experiences to transport visitors to new "beaches" in the world. As rising sea-levels reshape vast stretches of our coastline, the Beach as we know it will become a relic of the past. Based on the simulated storm surge level within the next one hundred years, many currently landlocked spaces will now become new beachfronts. Four sites on Harvard’s campus were selected to imagine and visualize this future — Gund Hall, Memorial Hall, Widener Library and the Carpenter Center. Students from Harvard Graduate School of Design invited you to take part in experiencing these new beach experiences through virtual reality — a 360-degree juxtaposition of a future yet-to-be against familiar sites. 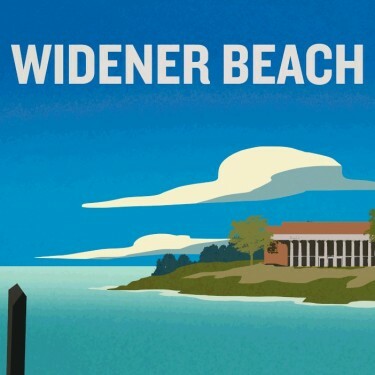 The Office for Sustainability is home to the posters developed for Widener Beach and Gund Beach.